Well, the painting has been continuing! 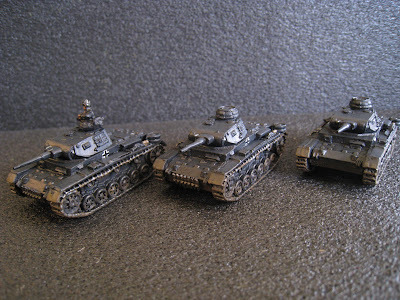 Here are some Panzer III's- Pretty standard Panzer Grey. Definitly not as shiny in person- thats just the sun in effect! These Panzers are part of my Early War army for Valleycon- they get one more to their number (who is on the painting table right now...). 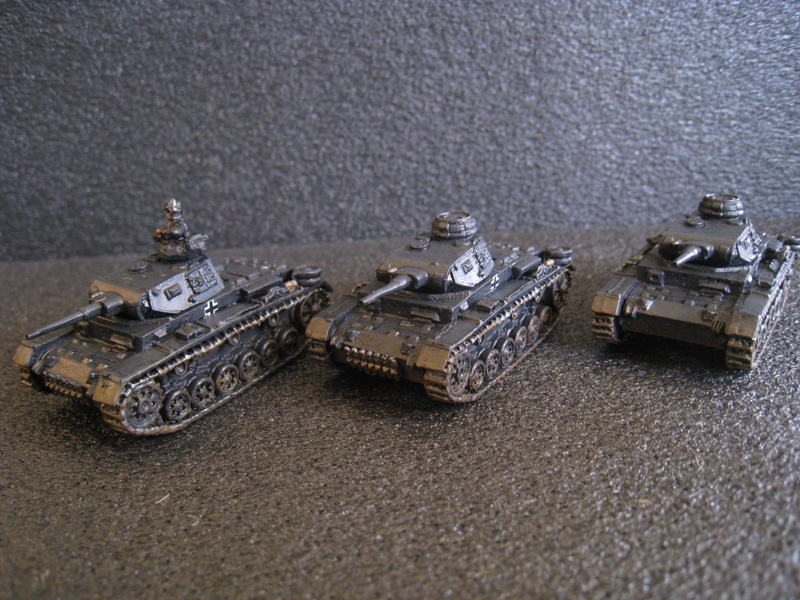 Armed with the massive 37mm gun, and lots of MGs these guys are a big part of my Tank defenses for the army. 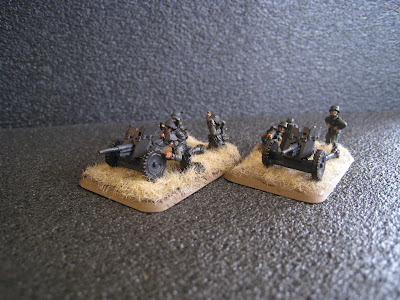 Two PaK 36 guns, for more 37mm goodness! These guys round out the platoon (one was done before) and are my ground pouding AT weapons, ready to hunt those dastardly Limeys and Frogs! Well not guns per say, rather bombs! 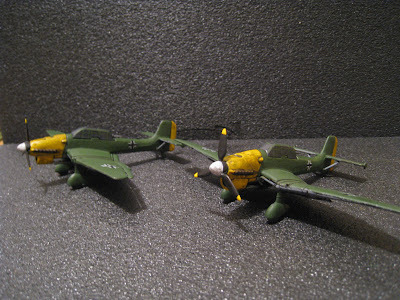 Two 1/100th scale Stukas to act as my air support. These are two die cast models, sourced from a random Aircraft magazine (I bought 3, one is an objective marker). Pretty standard German Stuka camo for the invasion of France (that is, none) with the crosses done freehand. Not the neatest thing ever, but they give a good impression of some air support! Next up? Kiwis for DoD! How is your Valleyvon force shaping up?